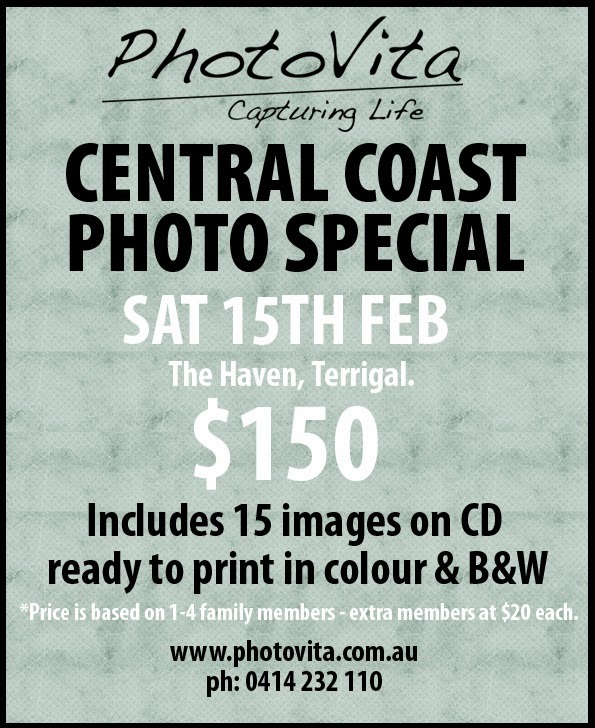 PhotoVita: Central Coast, NSW Photo Session Special. Central Coast, NSW Photo Session Special. If anyone in the Central Coast is interested I am running a Special up your way. It's quite popular so get in quick if you would like a spot.